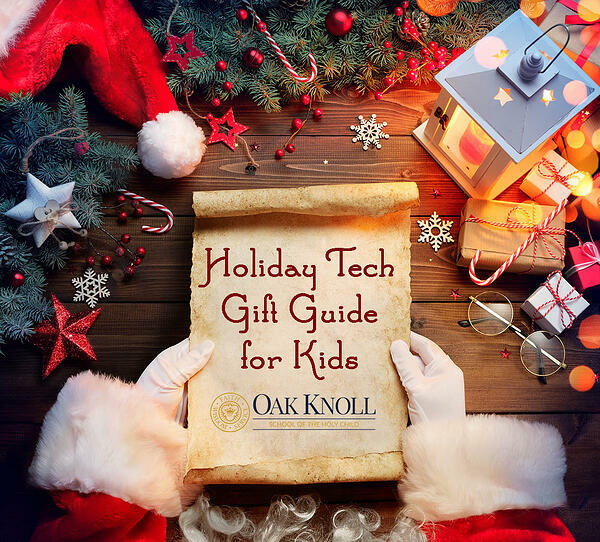 With the demise of our standard distribution mechanisms such as the Sears Christmas Catalog and the Toys’R’Us toy catalog, we are writing to you directly to pitch some of the best gifts we can help Santa provide this Christmas season. We have worked very hard to ensure our products are easy to use, age appropriate and can provide hours of fun. But mileage may vary, and we make no explicit or implicit guarantee that any particular child will enjoy any particular toy, and we have limited quantities of certain items, so you must get back to us soon if you want to place an order … I mean, if you need us to help you out. We are seeing a steady increase in interest in our robotics platforms. From Cue, Dash and Dot, to Cosmo, to Ozobots, and even a new line of Spheros, kids can’t get enough of driving these things all over the place. Some have even gotten pretty smart in terms of being able to write programs to have them interact with people and carry messages. We are also seeing a steady increase in drones, from the littlest Tiny Whoop devices all the way to the DJI Mavic Pro. These require a larger investment in support equipment, but can provide a different perspective on your neighborhood. *Our lawyers require us to mention that if you are flying outside, an FAA registration and license may be needed to make sure you don’t get in trouble. Gaming platforms have come a long way over the last few years, especially in the realm of virtual reality. While there are still the standard platforms of Xbox, Nintendo and Playstation, each brings a different perspective to gaming types. Xbox is still your basic platform for all types of games, but still leads the way with Minecraft. Nintendo, with the Switch, has embraced creativity with the LABO platform, which brings "making" to your video game system. You can build devices that interact with the games directly through the controllers. Playstation has the only game platform Virtual Reality interface, and it is pretty good. The platform we are watching is the Oculus Go, which has games and movies all self-contained within a portable system. Be careful, though — these experiences are not for everyone! *The lawyers are telling us we have to state that you could get dizzy or nauseous depending on your sensitivity to motion. Sometimes we find products where kids learn while playing games and having fun. Who even knew this was a thing? We don’t understand it, but we know you are going to get these kind of requests, so we try to find the best experiences and platforms to share. Littlebits still leads the way with their R2D2 kits, as well as an Avengers superhero creation kit. We all know we could use a few more superheros after this past summer (sorry, should have said spoiler alert). Osmo is still one of the best interactive systems for younger kids, as they play games and interact with their iPad. On the video game front, kids can design their own games with a game called Bloxels, which lets them design game levels on a board and import them into a video game. For Harry Potter fans, there is now a programmable wand that can be used to interact with the real world via an iPad. For subscription services, we have everything from cooking (Raddish Kids) to chemistry kits (Mel Science) to maker kits (KiwiCo, MakeCrate and Adafruit Adabox). *Our lawyer requires us to state that some of these kits may require adult supervision, but hey, their parents wanted them to learn, they should participate as well. We hope Santa finds our suggestions helpful, and we stand at the ready to ship to you or directly to the customer … I mean, the kids. And maybe those lawyers can lighten up and try some of these things themselves and remember to have a little fun in the process. The law firm of Dewey, Cheatum, & Howe apologizes on behalf of Toy Town Industries for the release of the previous email. The views of Mr. A.D. Vertising do not wholly represent the views of Toy Town Industries. We wish everyone a Happy Holidays during this time of year.